Subscribe to Airspeed through iTunes or your favorite other podcatcher. Or listen online right here by clicking: http://media.libsyn.com/media/airspeed/AirspeedParker.mp3. It’s all free! Very much in the mood for an air show this week. Only a few weeks until Sun ‘N Fun down in Lakeland. I leave tomorrow to go see Greg Summer of The Student Pilot Journal in Titusville near Kennedy Space Center and then go play some golf with my brother and my dad on Jekyll Island in Georgia. But it won’t be an airshow. I now have almost 30 outtakes from my checkride all set to go and the commentary is about a third of the way written, but my voice is still shot, thereby making a new episode a little difficult to cut just now. So I sat down this weekend and recorded a little meditation I’m calling The Lake Parker Arrival. It’s me on 12-string guitar, six-string guitar, and mandolin. I tried laying down a little Ashbory bass, but I think it muddied the mix, so I left it out. Kind of like Ben Folds leaving the string section off Give Judy My Notice. Actually, nothing like Ben Folds, but you get the idea. 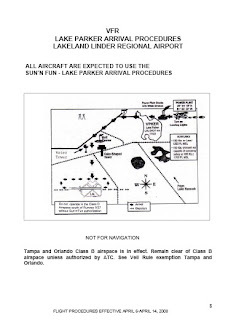 Anyway, there’s a link to the file here: http://media.libsyn.com/media/airspeed/The_Lake_Parker_Arrival.mp3. Please feel free to listen to it and pass it around for noncommercial purposes or use it at any airshow for which you happen to need music. Just give me credit. I’ll be back online soon with an update for preparations for the Battle Creek air show and, as soon as my voice comes back, I’ll record the checkride episodes. In the meantime, it’s time for a little R&R with the family. Tray tables and seat backs! Subscribe to Airspeed throught iTunes or your favorite podcatcher (RSS feed: http://airspeed.libsyn.com/rss) , listen to audio at www.airspeed.libsyn.com, or download the audio directly at http://media.libsyn.com/media/airspeed/AirspeedMancuso.mp3. 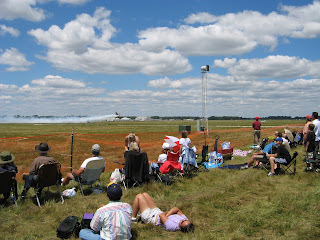 Here in the US and elsewhere in the northern hemisphere, airshow season is either here or right around the corner. We’re making some early calls to some of the performers that you’ll see this summer to get a preview of the upcoming season and to find out a little more about what makes them tick. Michael Mancuso is a fixture on the airshow circuit and this is his 10th year doing shows. He has 7,000 hours total time and commercial and instructor certificates. 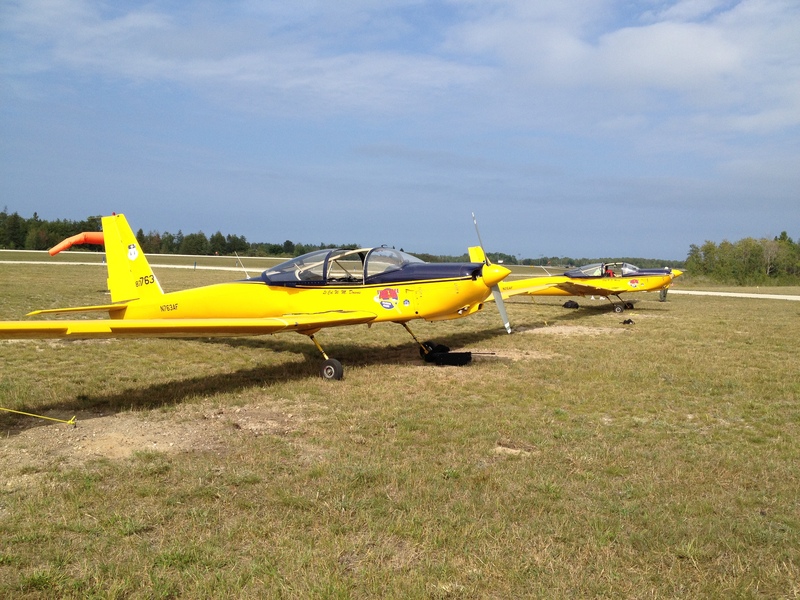 He started flying gliders at age 11 and soloed for the first time when he was 13. He and his family own Mid Island Air Service on Long Island in New York and Michael started Gyroscopic Obsessions in 1995 to teach aerobatics. He competed in IAC aerobatics from 1992 to 1997 and then spent from 1998 to 2000 with the Northern Lights. 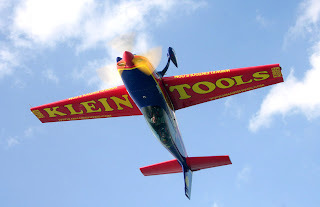 Michael flies the Klein Tools Extra 300L. The 300L is about 23 feet long and nine feet tall at the tail, and has a wingspan of about 25 feet. It’s powered by a Textron Lycoming AEIO 540-L1B5 300 horsepower engine connected to an MT three-blade prop that pulls the aircraft through the air at 170 knots when cruising at 75% power. It’ll get off the pavement in 315 feet, climb at more than 3,000 feet per minute, pull plus and minus 10 g’s, and do all kinds of crowd-pleasing gyrations between its 55-knot stall speed and Vne of 220 knots. The aircraft is built in Germany and certified in the United States. We caught up with Michael as he was preparing to head down to Sun-n-Fun to talk about the Extra, aerobatics, airshows, and flight training, and we even got to talk a little about light sport aircraft. Let’s go to the interview. A couple of administrative notes and other cool things for you. We’ve added a voicemail system so that you can leave us feedback and enter some of the upcoming contests! Call 206-339-8697 any time – day or night and leave us voice mail. It’s a Seattle number, but it’s free to me, so that’s all that matters! And it’s always free when you call from work (thanks, TMBG!). No, I haven’t moved to Jet City. Still here in southeast Michigan waiting for the frost to melt off the planes so I can get up and train without turining the airplane into a Cessna-cicle. To get us warmed up, let’s kick off the first contest of the year. Call the Airspeed voice mail line and leave us a short message telling us one thing about aviation that non-pilots don’t experience and probably won’t understand until they get up. For me, the main thing that comes to mind is flying with a head cold and feeling like my face is caving in during descent. Or what it’s like to fly with just your wheels in the clouds. But I’ll bet that you guys can come up with even more funny, strange, and inspiring observations. Call us at 206-339-8697 and leave us your observations. Also, please leave us your e-mail or other contact information because the best observation gets an Airspeed embroidered logo hat and we’ll need to know where to send this standard-setting garment of 21st century aviation that will surely soon to take its place next to the silk scarf and the bomber jacket in the pantheon of aviation icons. Lastly, but not leastly, there’s good news from The Pilotcast! Everybody loves the video content that The Pilotcast has posted of late, but many of us miss the hangar-flying sessions with Pilot Mike, Pilot Dan, and Pilot Kent. the’ve recorded a new hanger-flying episode that should be up very shortly. If you haven’t checked the Pilotcast feed lately, watch it over the next few days for the new episode. The Pilotcast is one of my two favorite hangar-flying shows on the net and I’m delighted that they’re back talking shop. See the Pilotcast website at http://www.pilotcast.com/.